Our NEW 2019 Tote "The Luna Tote"
Sol began with a vision based on one simple belief: that ALL children deserve school supplies and have the right to education. Our mission is to ensure that teachers and students have access to school supplies needed to teach and learn. We respect their land, language, and culture. Every purchase directly supports schools in Guatemala. We take pride in personally knowing our artisans and pay them fair market wages for their talent and work. SOL is a family owned business that works on giving back to others. A portion of the proceeds of sales are donated to students and teachers through Mayan Families, an accredited 501(c)(3) non-governmental organization. From time to time we also travel to Guatemala to ensure that the donations are distributed where they are needed the most and we provide school supplies to children and teachers. ​SOL textiles is committed to selling weaves made by hand, not machines. We incorporate huipiles, textiles, and premium leather to create finely detail designs.We are dedicated to working with local artisans and families. Donating a portion of the proceeds to children and teachers is our main commitment. The huipil tells the Mayan culture history through its vibrant colors and patterns. 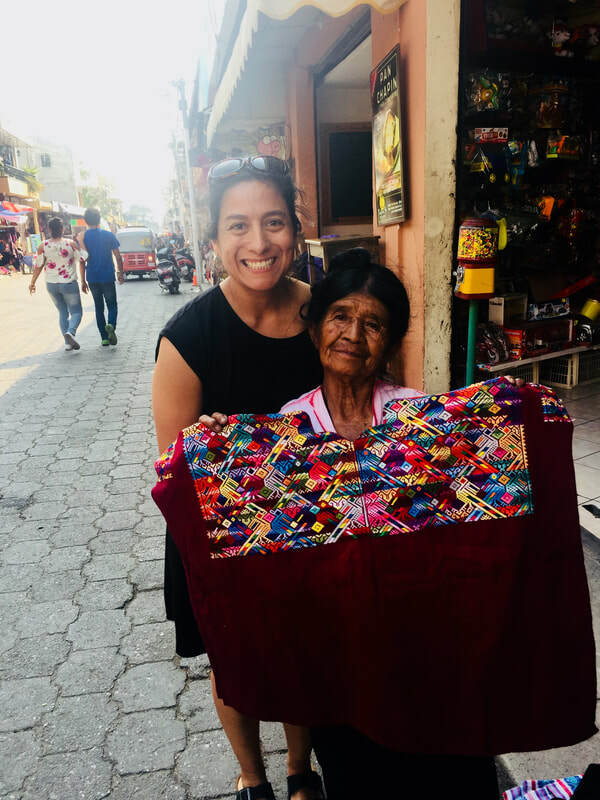 These traditional blouses worn by women in Central America are so much more then fashion; each design is unique to each region or community they represent. Each huipil is uniquely handmade with its own pattern that tells a story. I love the idea of every weave tells a story in the fabric of life. I can’t think of a better way to share the Mayan Culture then to create upcycle products using huipils. See the history of Huipil's on Wikipedia.